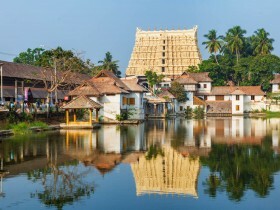 Complete Kerala Tour Package 8D7N Starting from 33,500.00 for two people. 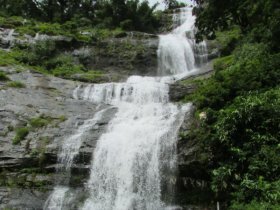 Destinations Include Kochi, Munnar, Thekkady, Alappuzha, Kovalam, Poovar, Thiruvananthapuram, Kanyakumari. 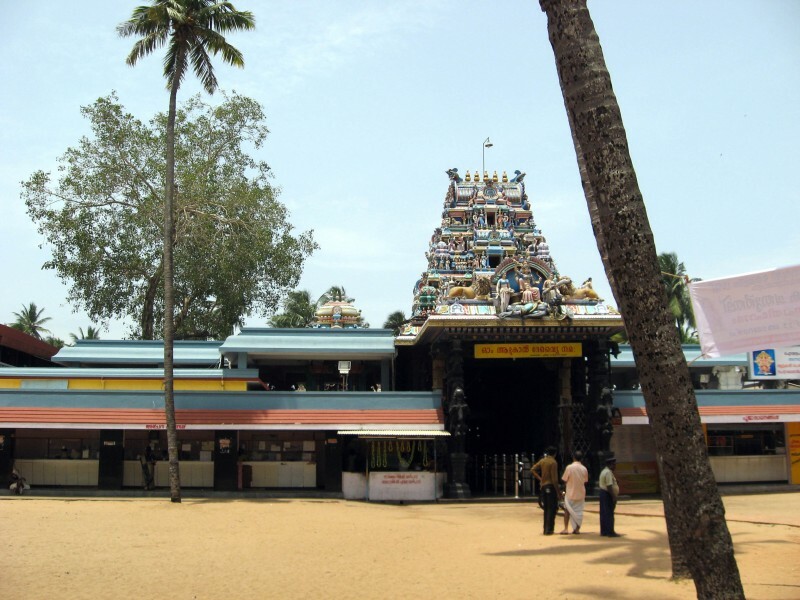 Tour Package includes pick-up from Kochi and drops at Thiruvananthapuram, 3 Star Accommodation, Breakfast, Sightseeing. Complete Kerala Tour Package 8D7N starting from 33500.Destination Include Kochi, Munnar, Thekkady, Kovalam, Thiruvananthapuram, Alappuzha, Kanyakumari.Pick up from Kochi and drop at Thiruvananthapuram.Include 3-star accommodation, Breakfast, Sightseeing. 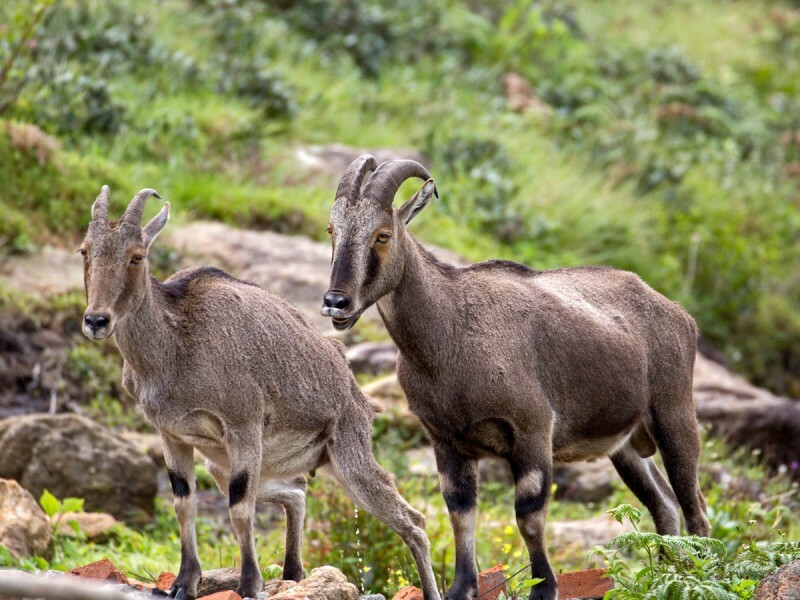 Thekkady, located in Idukki district of Kerala, is the location of the Periyar National Park, which is an important tourist attraction in the Kerala state of India.Thekkady is one of the wildlife tourism destinations of Kerala. 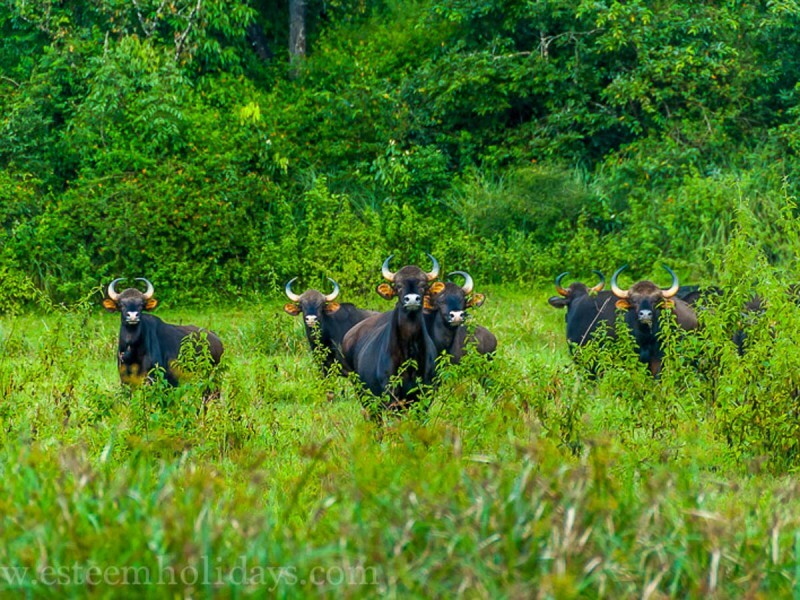 Thick forests, semi-evergreen and savanna grasslands are the main features of Thekkady. 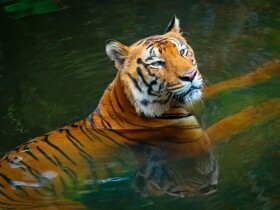 Animals like tigers, gaur, lion-tailed macaques, elephants, sambar and Nilgiri langurs are found in Periyar National Park. At Thekkady one can also find spices like cardamom, cinnamon, nutmeg, black pepper, and clove. 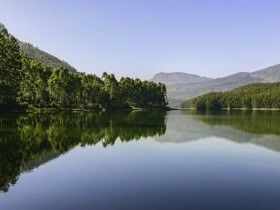 Winters are by far the best time to visit Thekkady as the weather is cool and pleasant, making it ideal for sightseeing. 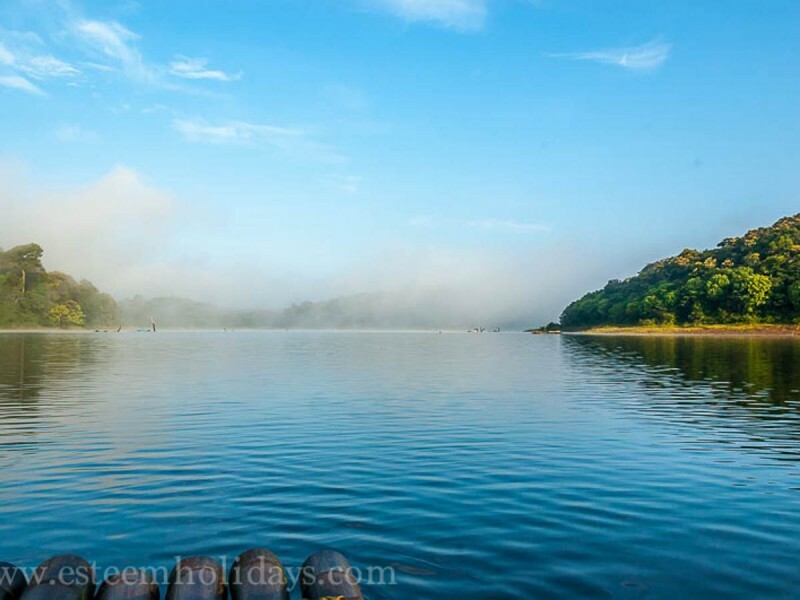 The maximum temperature goes up to 15 degrees Celsius and this is a great time to go for wildlife safaris and admire the natural beauty of Thekkady. 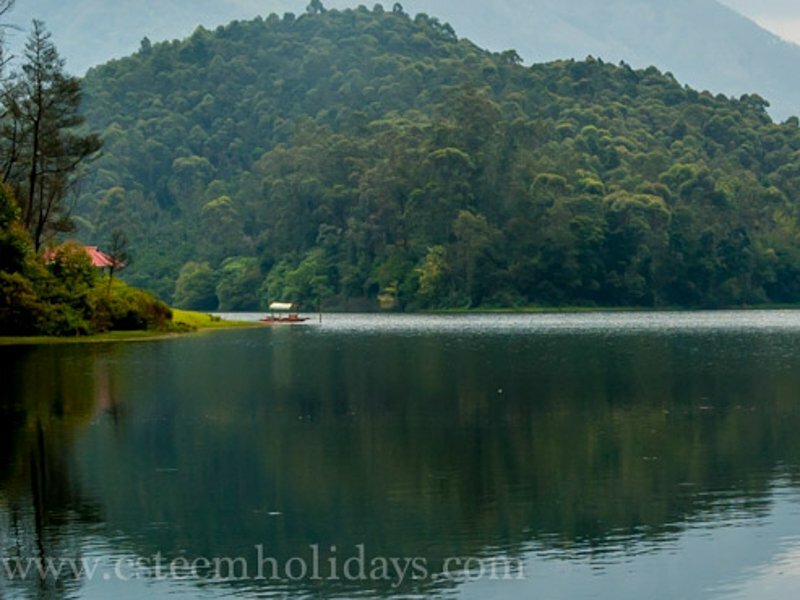 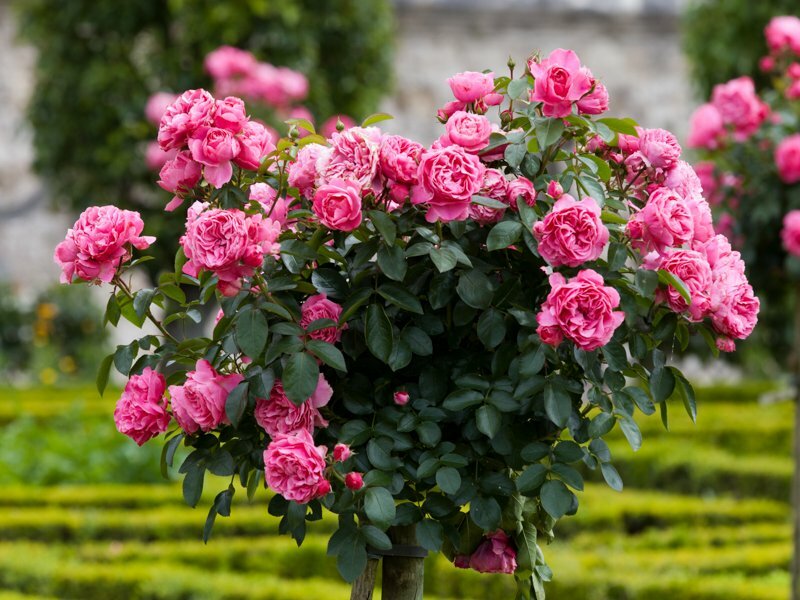 You can also enjoy the many festivals which take place during this time in Thekkady. 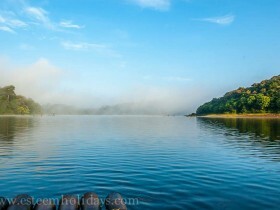 The monsoons are another great time to visit Thekkady. The temperature drops slightly and the surroundings are draped in a cloak of rich greenery. 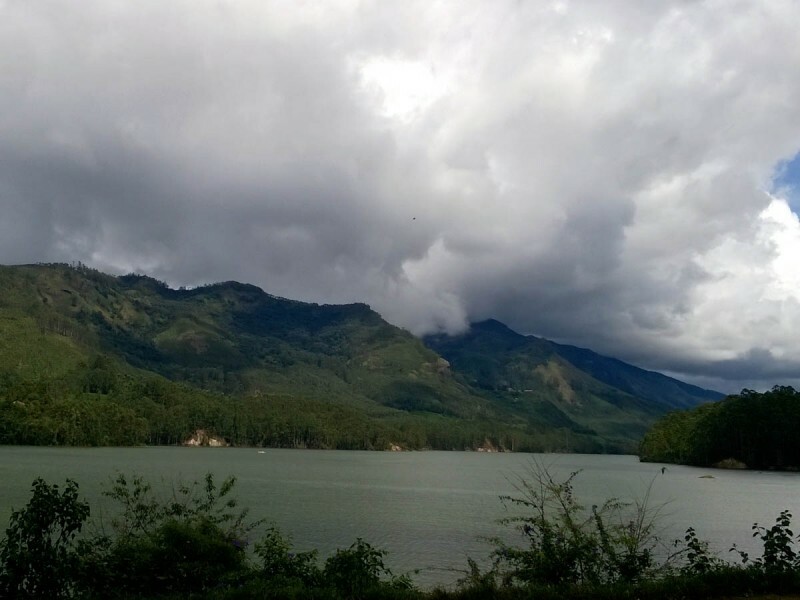 It is a great time to enjoy the rain washed beauty of Thekkady. Do make sure you carry an umbrella or raincoat along as rain showers are frequent and heavy. 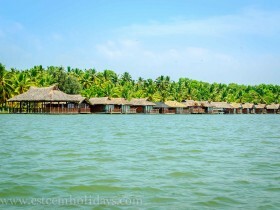 Alappuzha also referred as Alleppey. 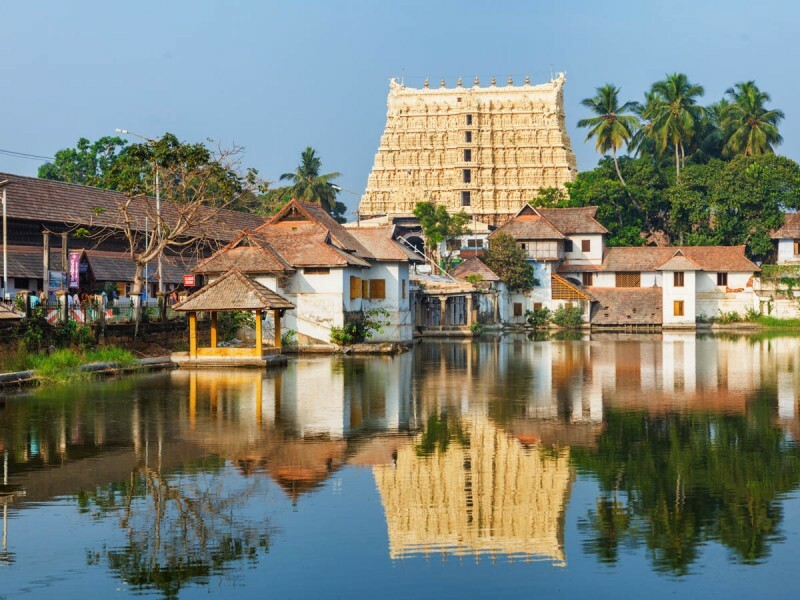 It is a city in Alleppey District of Kerala State in India. 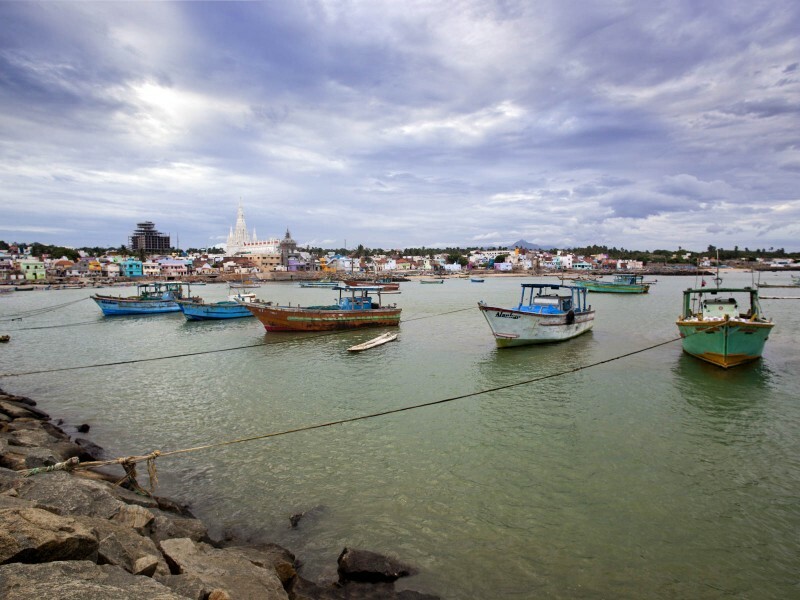 The word Alappuzha means land which is between Sea and network of rivers. 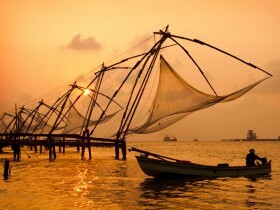 One of the most beautiful cities of Kerala, Alleppey is also known as “Venice of the East”. 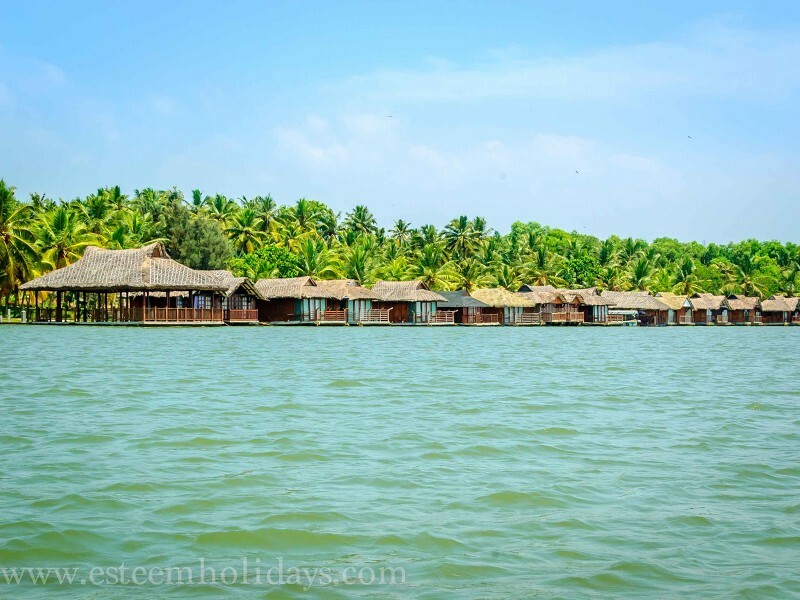 At Alappuzha, one will find beaches, backwaters, springs, canals.The most attractive and loved part of Alleppey is its backwaters and is the reason tourists visit Alleppey in big numbers. 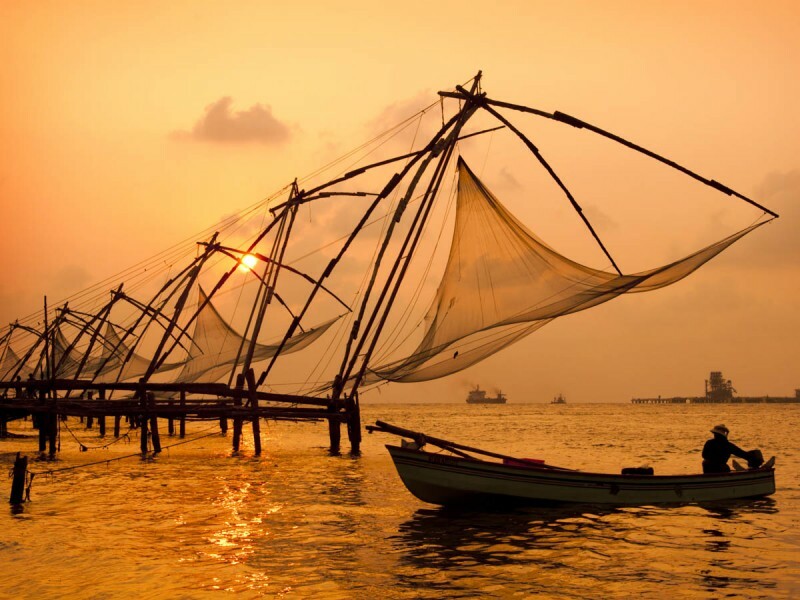 The backwaters join Kumarakom in the East, Cochin towards the North and Quilon to the South. 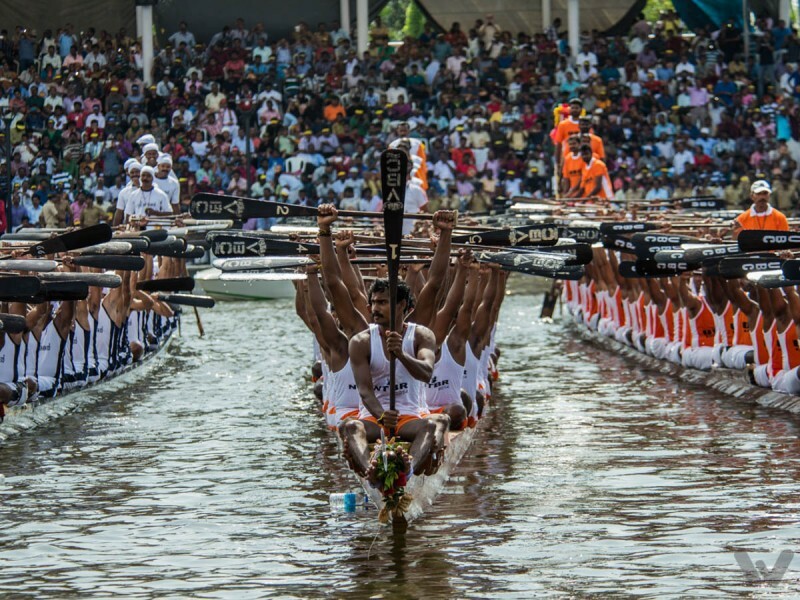 The annual boat race at Alappuzha named Nehru Trophy Boat Race which happens on Punnamada Lake is well known around the world. 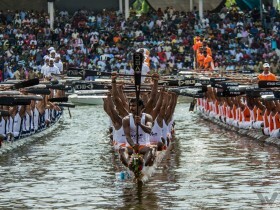 The race takes place on the second Saturday of August every year.This race is very interesting and fun to watch an opportunity to watch the great boat race stars as they more or less“fly” the boats. 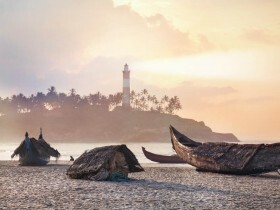 Owing to its proximity to the sea, the climate of Alappuzha is humid and hot during the summer, although it remains fairly cool and pleasant during the months of October to December. 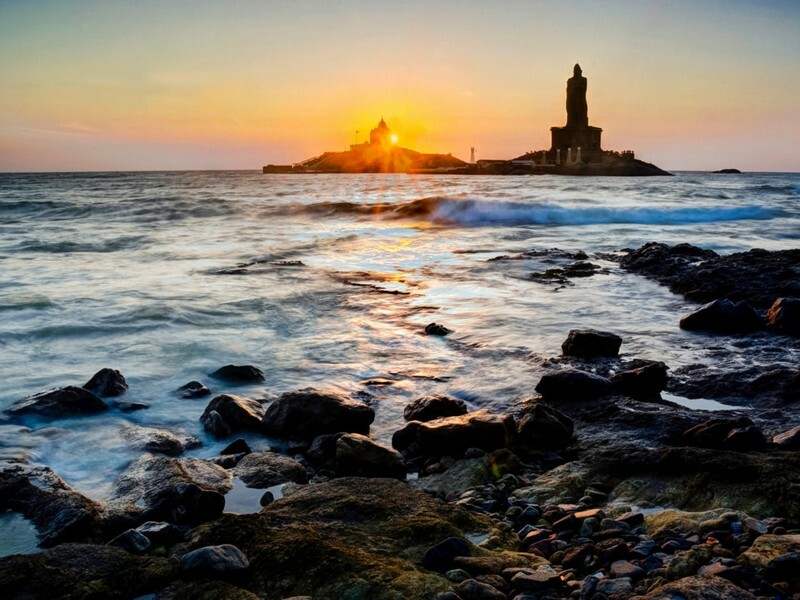 The Thiruvalluvar statue gives patronage to the famous Tamil poet and saint Thiruvalluvar. 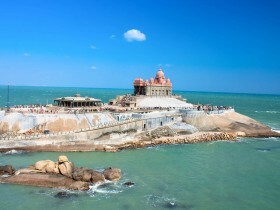 This famous attraction of Kanyakumari was opened for public access on the first day of the new millennium i.e. 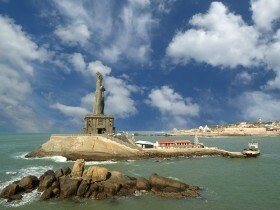 January 1, 2000.The statue is situated at a distance of 400 m from the city’s coastline on a small island rock. Its total height is of 133 feet.It is one of the biggest statues in India located on a small island in Kanyakumari, nearby the confluence of the Arabian Sea, Bay of Bengal and the Indian Ocean.The statue stands on a 3 – tier pedestal, known as Atharapeedam. 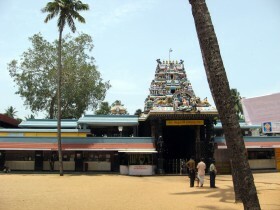 Atharapeedam is surrounded by the 38 feet high Alankara Mandapam. 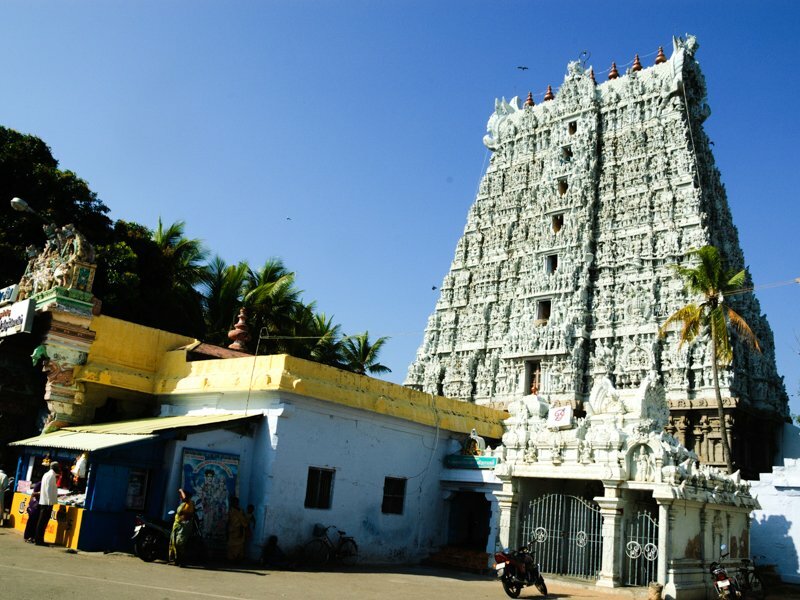 There are ten elephant statues surrounding the Alankara Mandapam that symbolize the ten directions – eight for the earth, one for the sky and one for space below.The statue can be easily accessed by a ferry available from the mainland. 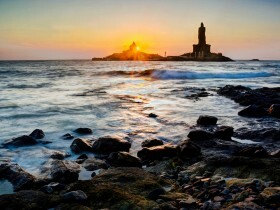 Thiruvalluvar Statue is a popular tourist spot in Kanyakumari. 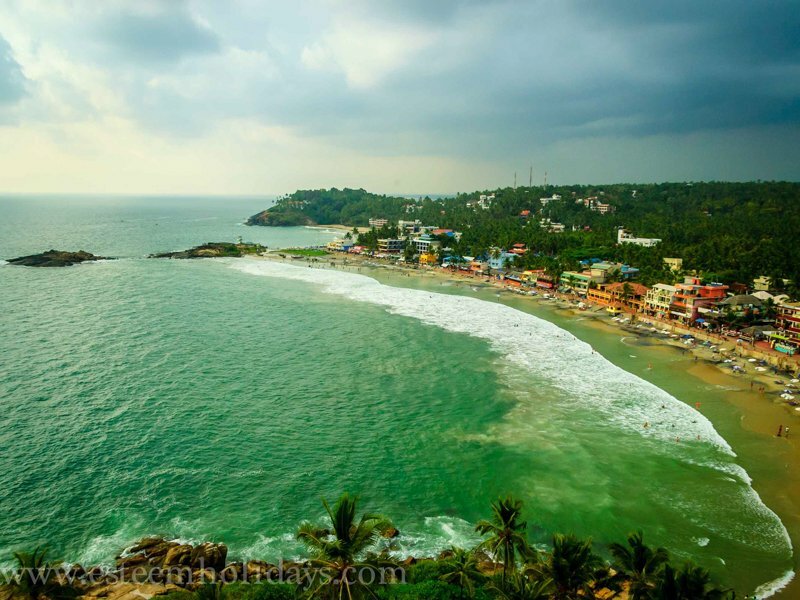 Shankumugham Beach is a beach in Thiruvananthapuram district. The beach is a popular tourist attraction of Thiruvananthapuram, located at a distance of 8 km from the city. 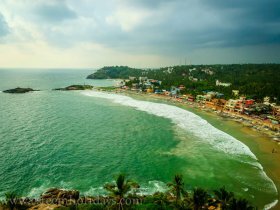 The vast stretch of white sand and the serene atmosphere is a treat for those who want to get out of their hectic life.The beach, known for its clear views of the setting sun, is a frequented spot for a picnic. 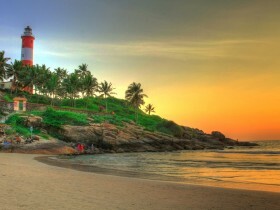 The beach also has a famous for its huge Matsyakanyaka (mermaid) Sculpture, designed by Sri. 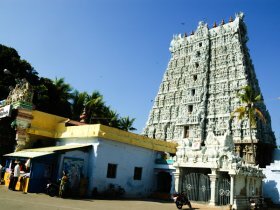 Kanai Kunhiraman, built in concrete in the year 1990. 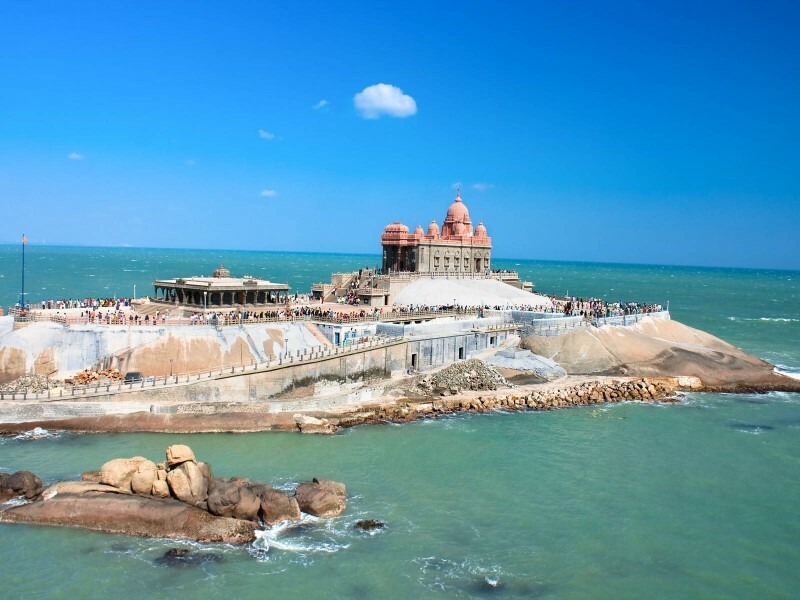 There are two rock-made shelters which are more than 100 years old, one at the beach and the other near the park. There are lots of spaces and rock benches for relaxing.The Royal beach palace which the Travancore king used as a rest house is situated near the beach. 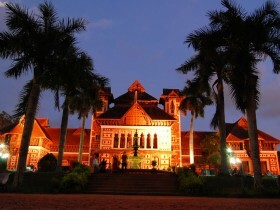 This building is now renovated and is used by the Indian Coffee house.